It's that time of year...no, wait, it's way past that time of year. 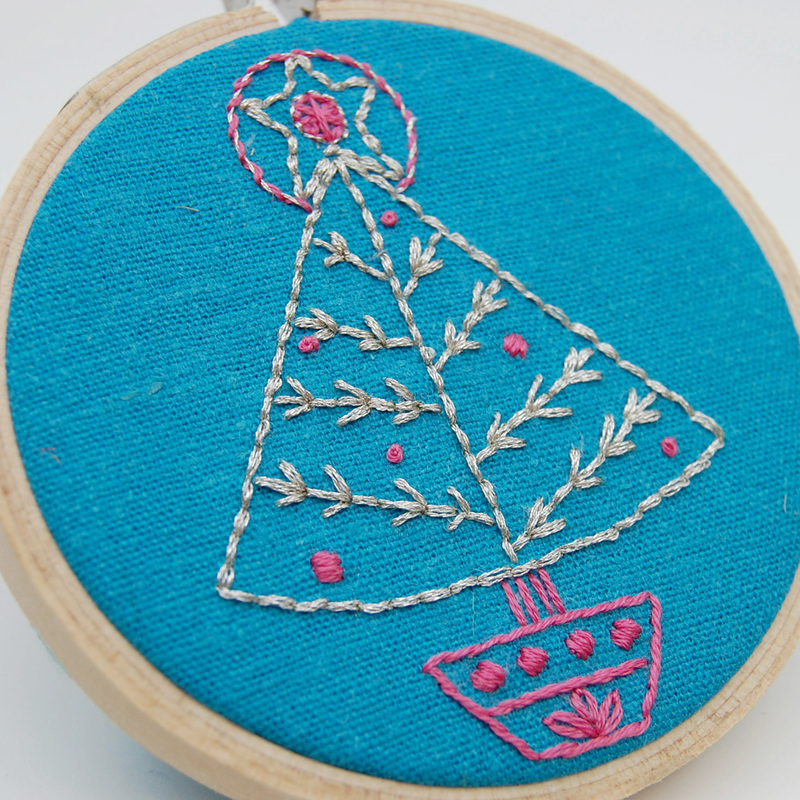 That's right, it's a new Holiday Embroidery Pattern set! 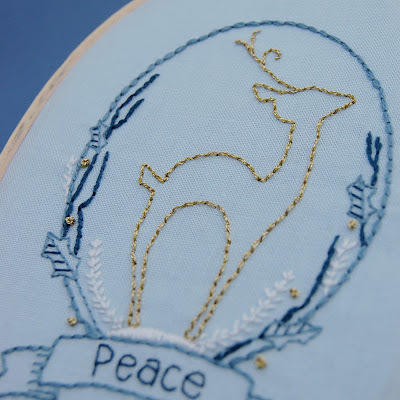 I like to get holiday patterns out in the summertime because that is when organized people start planning their holiday projects (so I hear - personally I wouldn't know as I am never that organized). So, it's a little later than I hoped but I am still pretty excited about this new set. 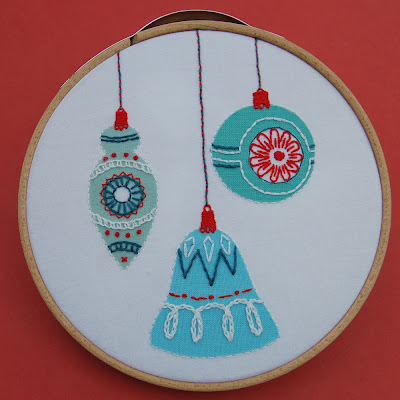 This Christmas pattern collection is called "Season's Stitchings" and it is a really fun mix. Initially I planned to design a set of pattern based on holiday motifs from the 1950's and 60's. As I started looking into more vintage Christmas items I decided not to limit it to just those two decades. Browsing through old Christmas cards, wrapping papers and advertisements was perhaps the most fun part of this project. Plus I also learned a lot along the way. Did you know that images of scrappy little dogs appeared frequently in holiday decorations from the 1930's? Not the pure bred stately dogs but the feisty mutts that could get through anything and look adorable doing it. After reading that I knew that somehow or another a puppy was going to end up in this pattern set. And what about those aluminum Christmas trees? It's a good enough reason to try out those metallic flosses, don't you think? Vince suggested I find a way to add some sort of color changing device to the back but I'm not quite that good... yet. Finally I added a graceful deer reminiscent of the brass variety that was, and now again, is so popular. I've had my eye out for some in the thrift shops but I think they have all been snapped up! 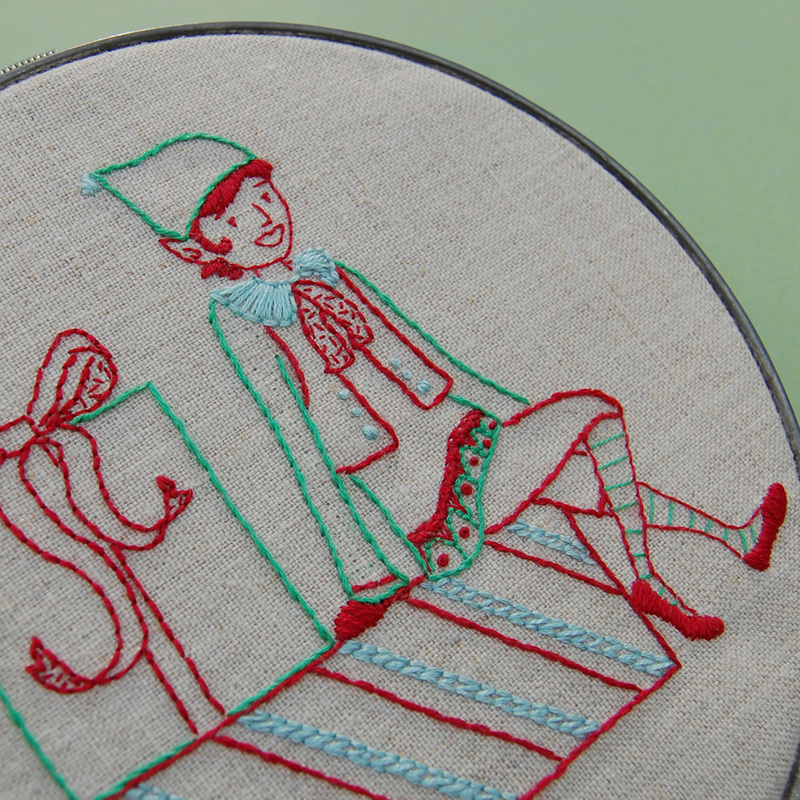 I guess I'll have to settle for my little embroidered friend for now. So there you have it a Holiday hodge podge from SeptemberHouse. 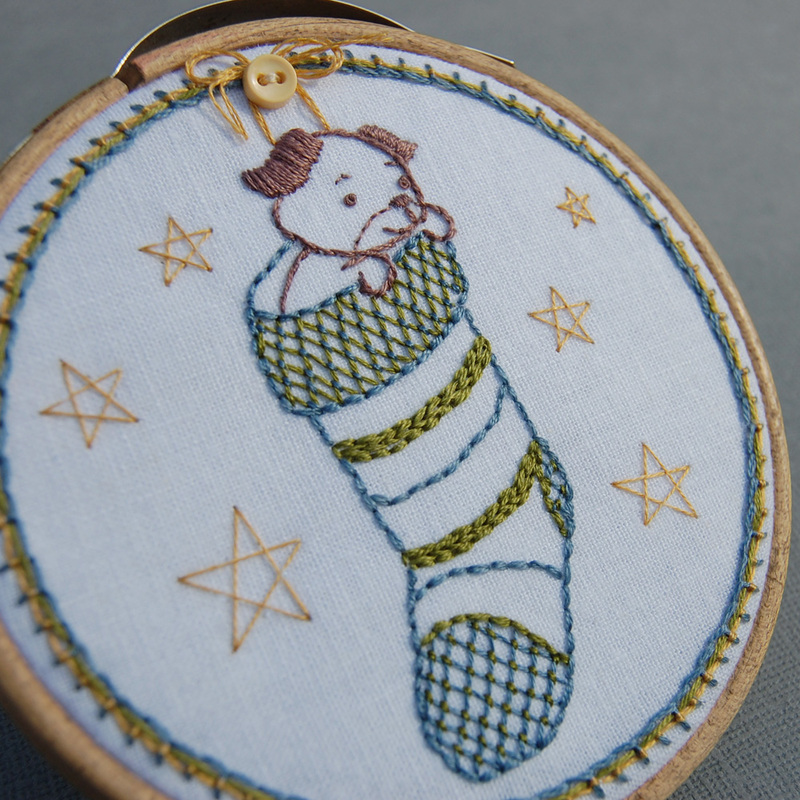 You can find Season's Stitchings in the SeptemberHouse Webstore or on Etsy. Now I really really need to swing back to Halloween mode and get some costumes figured out for my two little goblins. That clock is ticking you know. What an adorable pattern set, Corinne!! I'll definitely be buying this one. I especially love the stocking puppy and the deer. The shisha in the middle of the one ornament is pretty cool -- I can envision that hanging on a tree with lights reflecting off it. 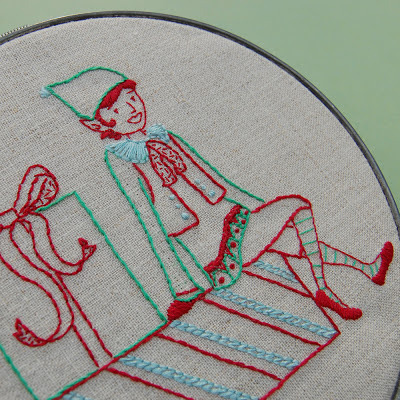 Nicely done, you creative soul and fabulous stitcher!!! Fabulous set! Love the vintage puppy in the stocking and the use of metalic threads! Loving this pattern set! Thanks for sharing it. These patterns (especially the retro ornaments) are so adorable! Are they still available to purchase anywhere? Thanks! Thanks for asking about this, Emily. I have been updating a few of my pattern sets this Summer and this is one that is in that process at the moment. It should be back in circulation this month though :) Thanks again so much!